We now have a huge range of Sweets and Confectionery here at Calendar Lady Promotions including our Sweet Sachets with Logo. Our Sweet Sachets with Logo hold either powder pastilles, chewing gum or sugar free pastilles. View the full rage of Personalised logo Sweets here. All packets will come printed up with your business details and company logo to ensure that you keep yourself advertised at all times and stay one step ahead of your competitors. So help to promote your business details today upon our Sweet Sachets with Logo from Calendar Lady Promotions. 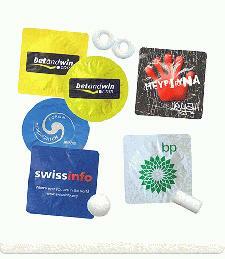 Other promotional and personalised items besides our Sweet Sachets with Logo click here. To find out more about our Sweet Sachets with Logo click here and fill in the contact form and we'll get straight back to you.